and soot from the woods surface. 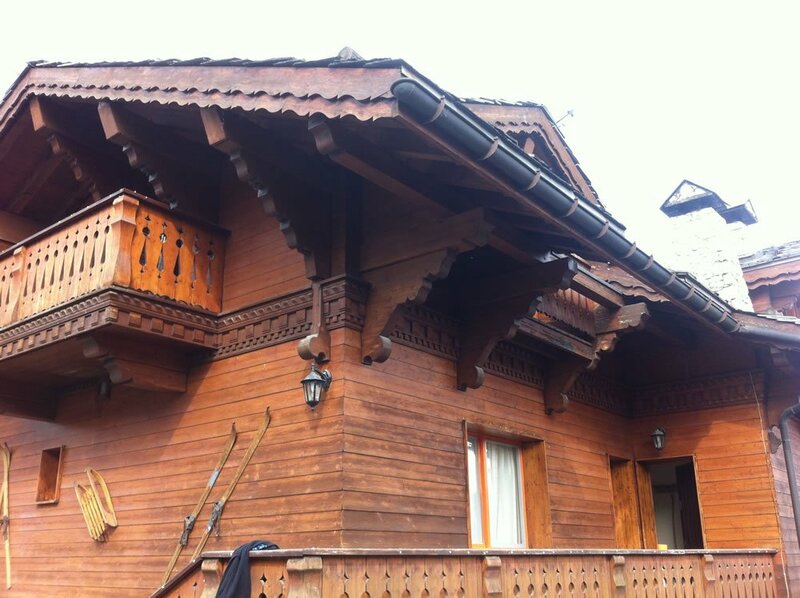 We protect all the windows, vents, and anything that cannot be removed from the exterior of the chalet. 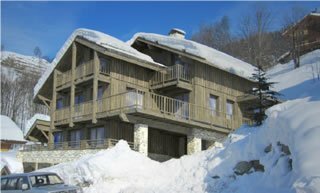 We then sandblast the existing varnish of the façades, beams, doors, windows, balconies and terraces using a range of abrasives depending on the existing coatings. Once this is done and we have cleaned all the abrasive from the outside of the exterior we can start the retreatment process. Once the property has been emptied we protect all windows, vents, and kitchen equipment that cannot be removed. 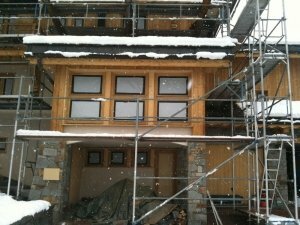 We then sandblast the wooden areas in the chalet/ apartment, removing all abrasive. 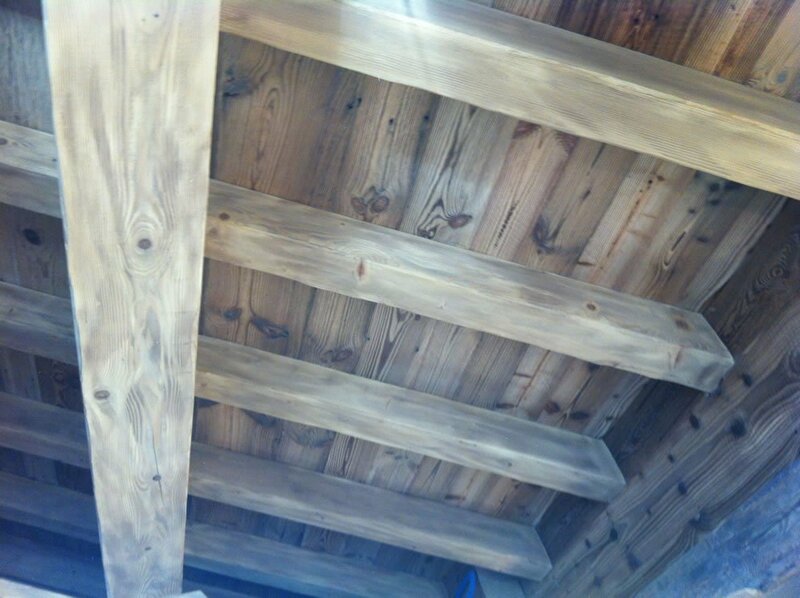 Depending on the condition of the wood after cleaning, we will apply three coats of treatment. If necessary an undercoat will be applied to provide even more protection and to equalise the wood. Colour is then applied, then a clear coat to finish. If an undercoat is not required, we will protect the wood with one coat of colour and two further clear coats. We can match nearly any wood colour and advise a choice of colours to choose from whether for inside or outside use. For the exterior we recommend “Saturoil”. Saturoil is a micro porous, water-repellent, resin based product with exceptional staining qualities. Different to other wood stains, Saturoil has a matt almost invisible finish. Two coats are normally needed; three if the wood is constantly in direct sunlight. Saturoil blends naturally into any environment. Kenny and his team are very professional. They work very efficiently with the minimum of mess. 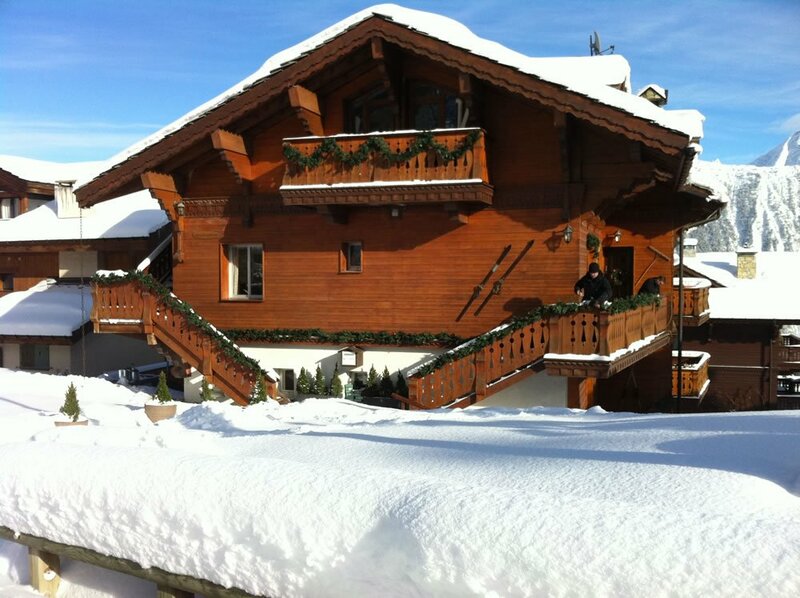 My chalet is looking amazing now..